For the first time in the Jim Gavin era, Dublin are not going to be competing in a league final, but after defeat to Tyrone, are we reading too much into the Dubs' latest loss? Vincent Hogan, Conor McKeon and Ciaran Whelan joined Will Slattery on this week’s Throw-In to look back on all the weekend's Allianz League action with Whelan pointing to the forward line as his main source of concern for Dublin. Kerry’s rise, Tyrone’s turn-around and Mayo’s potential are all pointing to what could be a very exciting football Championship. And let’s not forget Corofin retaining the All Ireland Club title in style as well. The greatest club side ever perhaps? In hurling, Tipp’s inconsistency reared its head again, but Dublin’s win in Semple Stadium augurs well for their summer and the incredible work done under Mattie Kenny. Plus, putting up thirty-one points against Clare, Waterford are into a league semi-final against Galway and are quietly going about their business, putting up massive scores along the way. For more from the Throw-In podcast go to: www.independent.ie/podcasts/the-throw-in/. The Throw-In podcast is in association with Allianz.ie. 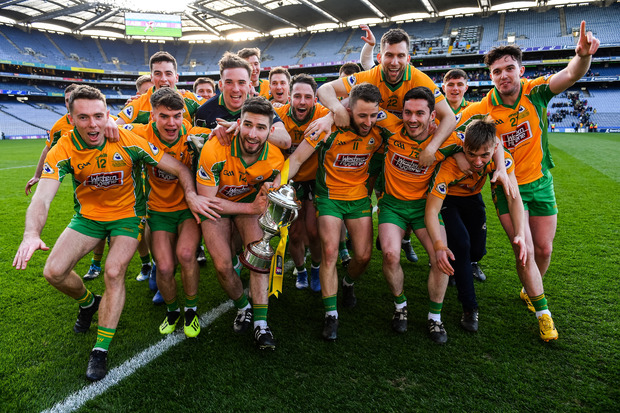 For more on Allianz Leagues Updates, Podcasts and Competitions please visit the official sponsor page at www.allianz.ie/allianz-leagues. Independent.ie Newsdesk John Mullane says that Limerick's comfortable league final win over Waterford is a 'frightening' statement of intent ahead of another assault on the All-Ireland championship this summer. Independent.ie Newsdesk It's certainly not an All-Ireland title but for Mayo, their first League title since 2001, meant the world to them after ending their long winless run in national finals. Will Slattery John Mullane has hailed Dublin fullback Eoghan O'Donnell as 'the best in the country' and defended Mattie Kenny for how he set his team up for the league semi-final against Limerick.